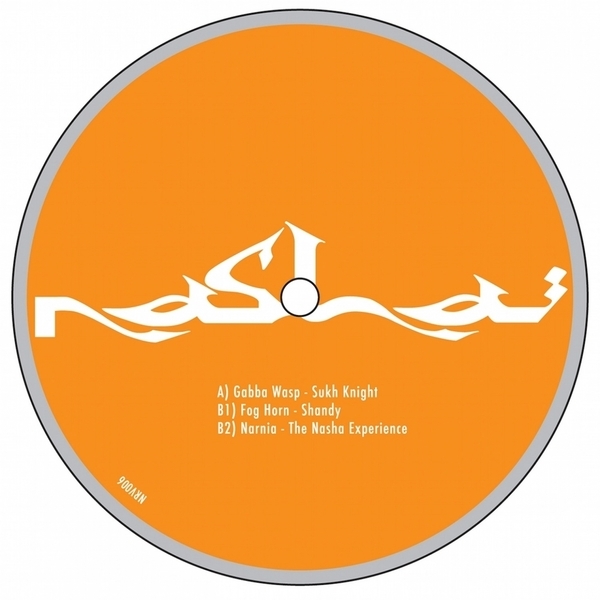 Rugged dubstep rollers from Sukh Knight and the Nasha records crew. 'Gabba Wasp' rounds up insistent synth stabs and Indian percussion on a hard halfstep rhythm while Shandy sounds the rave signals of 'Fog Horn' with its fragrant Far Eastern samples. The Nasha Experience close with the tipping tablas and exotic sample textures of 'Narnia'.